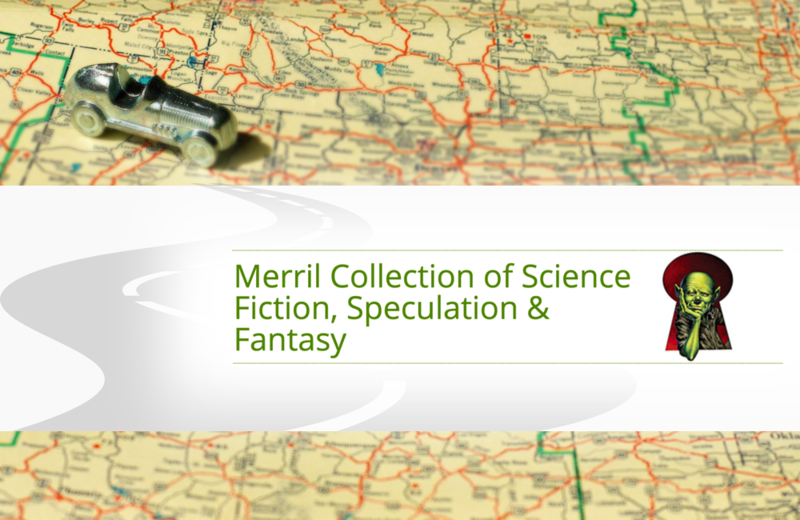 Merril Collection of Science Fiction, Speculation & Fantasy is the former personal collection of science fiction writer Judith Merril, now under the care of the Toronto Public Library. Established in 1970 as The Spaced Out Library, the collection originally consisted of 5000 science fiction-related items including pulp magazines, graphic novels, hardcover books, reference materials, and more. Although Merril passed away in 1997, the collection has continued to grow and now includes over 57,000 items. The Collection attracts science fiction enthusiasts, newcomers to the genre, and academics looking to delve into weird and wonderful topics such as space and time travel, fairy tales, monsters, UFOs, and magic. The Library regularly hosts events and exhibits to attract visitors to the Collection. The Library is also home to The Friends of Merril Collection, a group of volunteers dedicated to increasing awareness of the Collection. The National Capital Region's board game cafés/lounges/shops are proof positive that board gaming is an integral part of the social scene. The International Clown Hall of Fame and Research Center preserves the rich history of the often underappreciated art of clowning and pays homage to some of pop culture's most recognized clown performers.